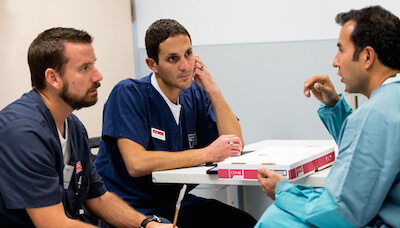 Cook Surgery’s Chris and Amro listen to a surgeon. To find out, we surveyed 10 people in Cook Surgery: from a corporate account manager, who works with hospital staff on securing contracts, to a clinical specialist, who travels to ORs in her area to advise nurses and physicians. How do you define our partnership with surgeons?